Over 200 matches were played on the first day of competition, Wednesday 8th February, at the 2017 Czech Junior and Cadet Open in Hodonin; many matches on offer there were bound to be some close calls. 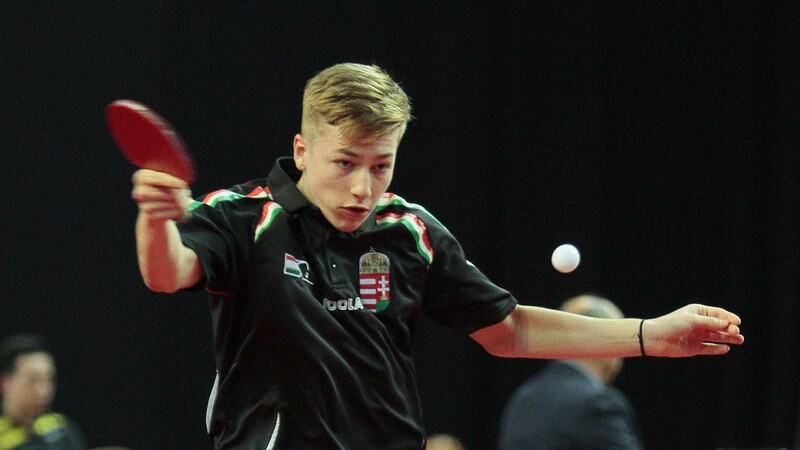 Day one of the Czech Junior and Cadet Open provided an exciting kickoff to the 2017 ITTF Premium Junior Circuit. In the Junior Boys’ Singles number one seed Gerrit Engemann found himself in a spot of bother in his first round encounter. The German was quickly 0-3 down against Teodor Lipan and an early exit looked to be on the cards. Lipan was unable to capitalise on the lead and Engemann showed his class and managed to find his rhythm to take the next four games. On the other side of the draw Jiri Martinko’s path to the second round was far more convincing. The second seed progressed with a straight games win over Gabor Hogye. Earlier in the day the qualification rounds proved to be full of razor thin margins. Adrian Wetzel, Patrik Juhasz and Michael Trink found themselves in a three way count-back to determine who was to progress from the group stages. On a games ratio it was first place for Adrian Wetzel (4:3) followed by Patrik Juhasz (5:4) and Michael Trink (3:5). It was a closely fought contest but nothing was as close as the group that involved Markus Tonkovic, who lined up alongside Norway’s Sondie Berner and Ireland’s Alexander Gillen. It turns out the old proverb “every point counts” is true. Each match resulted in a three games to one outcome. With players level on games, pens, paper and calculators were out to determine the points ratio and overall positions. It was the luck of the Irish; first place for Alexander Gillen (75:69) followed by Markus Tonkovic (76:79) and Sondie Berner (69:72). In the Junior Girls’ Singles event the top 16 seeds were not required to compete in the qualification rounds, but there were nervous moments for some of the big names in the group stage. 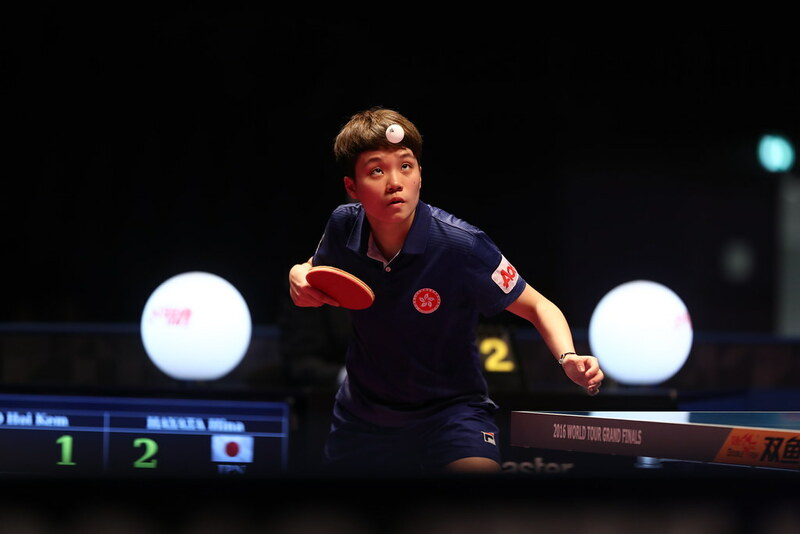 Julia Slazak, quarter-finalist last year on the 2016 ITTF World Junior Circuit in Qatar and the highest rated player in the qualification rounds remained unbeaten. But she found Sweden’s Alma Roose a worthy opponent. Slazak needed the full five games to ensure victory (9-11, 16-14, 11-6, 12-14, 11-3). Some consolation for Alma Roose as she duly secured second place in the group; in her concluding contest, she overcame Portugal’s Raquel Martins (11-8, 11-13, 11-4, 10-12, 11-4). Meanwhile, Romane Le Scour’s runners up spot was contrary to expectations. The fourth highest listed on opening day Junior Girls’ Singles duty, she beat Ulyana Alkhouskaya of Belarus (11-6, 11-7, 11-3) but in her very next contest, she suffered defeat at the hands of Norway’s Maja Haugen Gjelle (11-5, 11-9, 11-9). Maja Haugen overcame Ulyana Alkhouskaya (14-12, 11-7, 10-12, 11-9) to remain unbeaten and top the group. There were less troubling times for the other leading players in the group stage. Korea’s Byun Seoyong, the host nation’s Nikita Petrova and the Slovak Republic’s Tatiana Kukulkova all finished in first place in their respective groups, as did Hungary’s Orsolya Feher, Maharita Baltushite of Belarus and Poland’s Katarzyna Wegrzyn. Be sure to checkout the full results from day one in Hodonin and tune in to itTV when day two of the Czech Junior and Cadet Open commences.